As part of the cooperation scheme between USTC and XTBG, 30 plus students and teachers from the University of Science & Technology of China (USTC) took internship in XTBG during August 9-14 this year. Different kinds of activities were designed for the students to fulfill the internship goals and accomplish tasks. 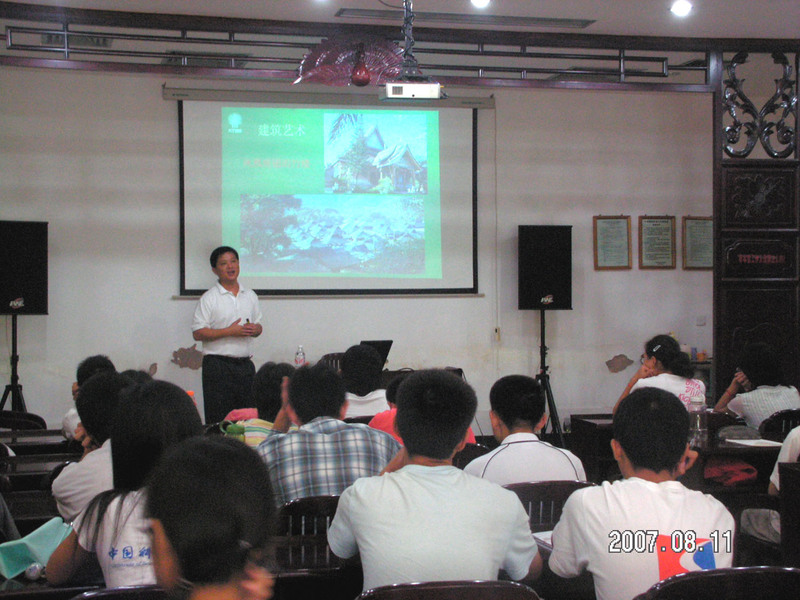 A report on ethnic cultures in Xishuangbanna was particularly delivered to the USTC students. With the title of “Tropical rainforest - source of ethnic cultures in Xishuangbanna”, Mr. Zhu Hongxiang introduced the close ties between tropical rainforest and colorful ethnic cultures, via vivid pictures and refined words. The report focused on the cultures of Dai nationality, the majority ethnic group in Xishuangbanna, including architecture, art, literature, medicine, agriculture, totem worship, and religious beliefs, etc., which attracted the listeners very much.